it's hard for them to keep experienced people. Do you have any recommendations for dehydrated eyes? Other than just keeping her in proper temps and humidity I mean. Thanks! 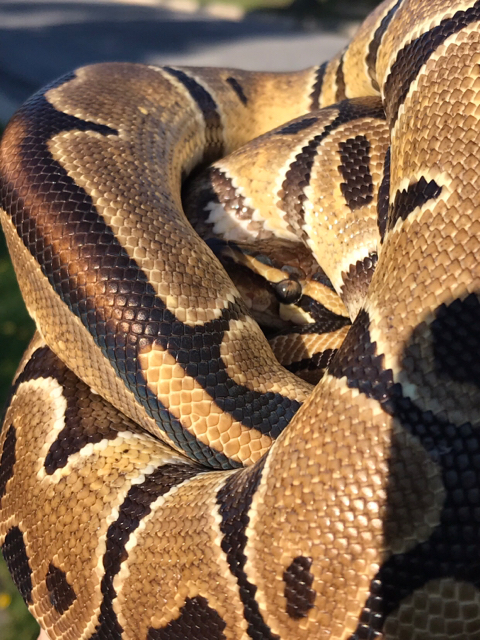 Other than proper husbandry, one of the fastest ways to rehydrate a snake is to feed it wet f/t rodents so it gets some extra water when it eats. I am in pretty much the same situation. We have one local place that does a decent, though definitely not perfect, job and the chain stores. Have you tried / considered a short soak ?? Can’t do any harm and MAY make an instant difference.. it certainly does for dehydrated snakes .. they look plumper and even get a bit of colour back straight after the soak . I even had a refuser eat the very next day which was a bonus ..
You guys I have great news!!!! 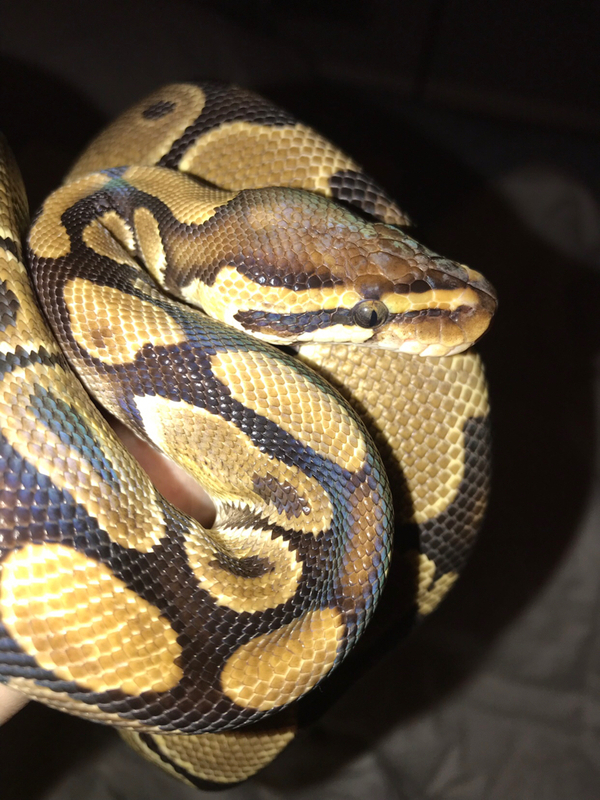 Brooskie went into the blue this week and two days ago she shed!!! 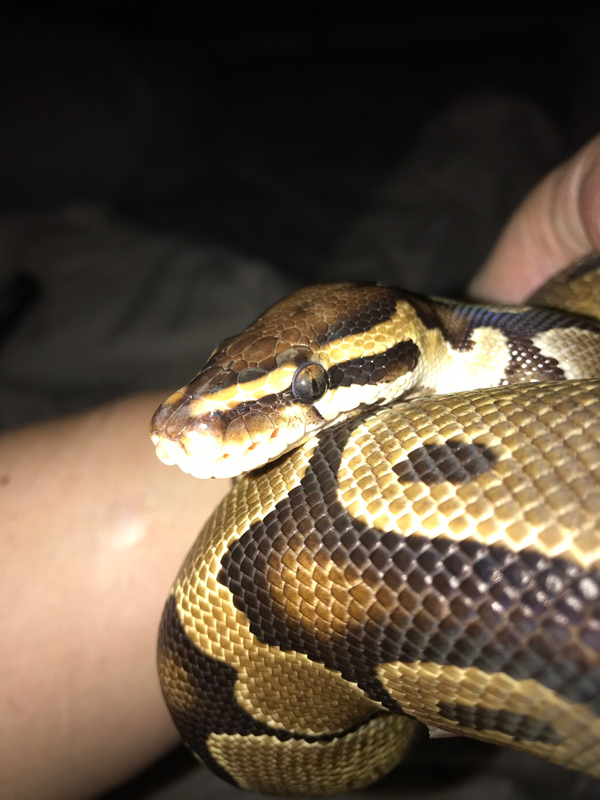 She looks like a new snake and her eyes are so clear I could cry. Take a look! 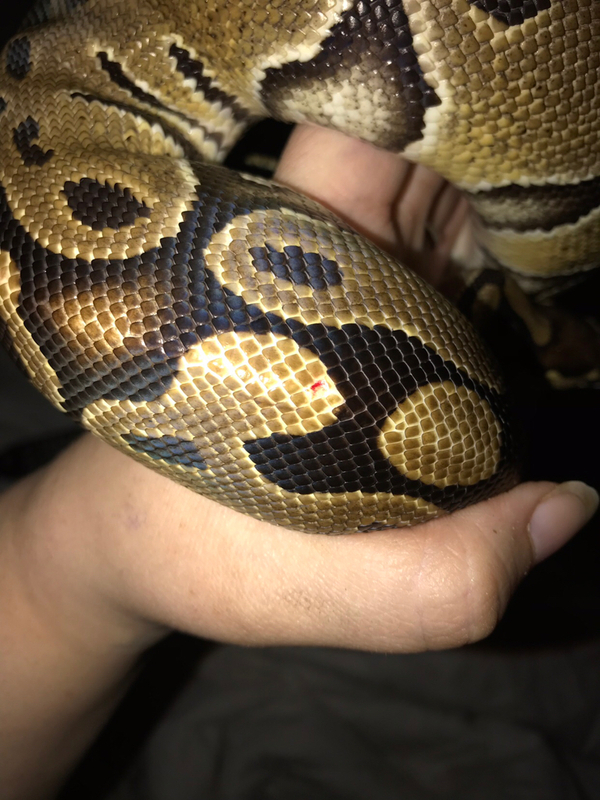 The only thing concerning me is after she shed I found a wound on her that I hadn’t seen before and I absolutely checked every inch of her when I got her and a few times after. Is it possible it was there just under some kind of shed build up and only now I can see it? Also concerned with the tip of her tail. 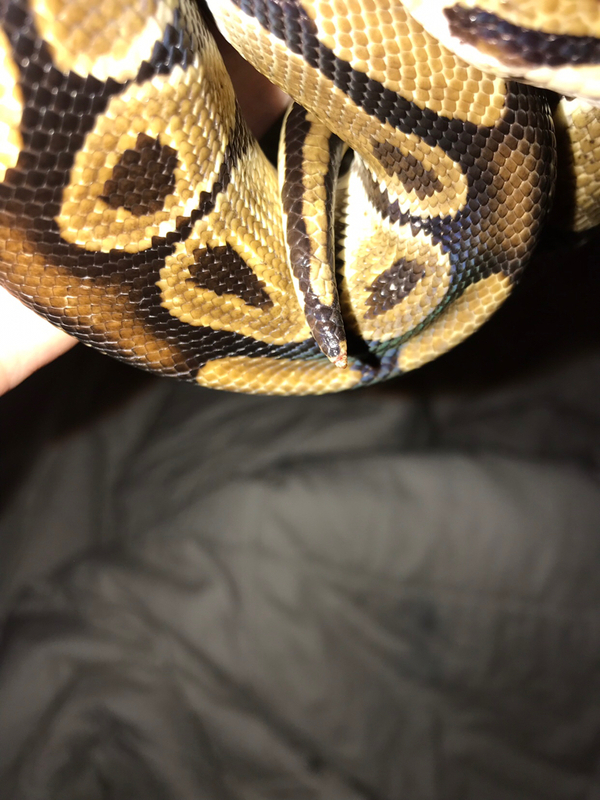 Now that she shed you can kind of see what appears to be where the stuck shed has cut into her. I’m going to pay that area some extra attention now as well as keeping an eye on the wound. But check these pics out, check out those eyes!! Best before and after ever. 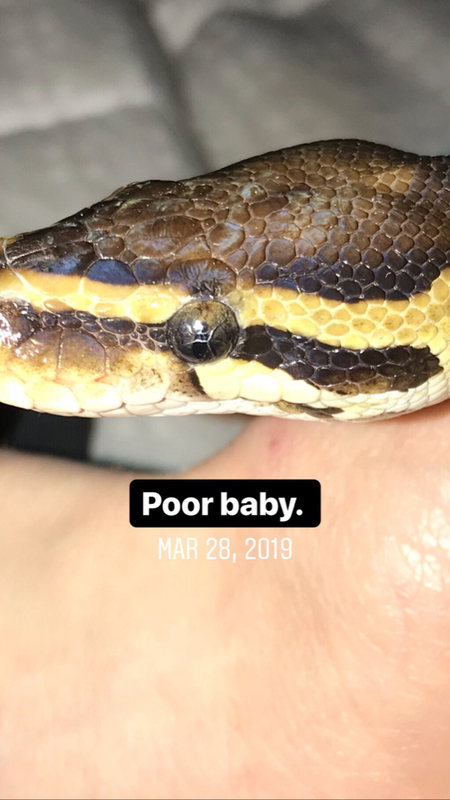 Also, now that I guess she can actually see well, she doesn’t hiss! 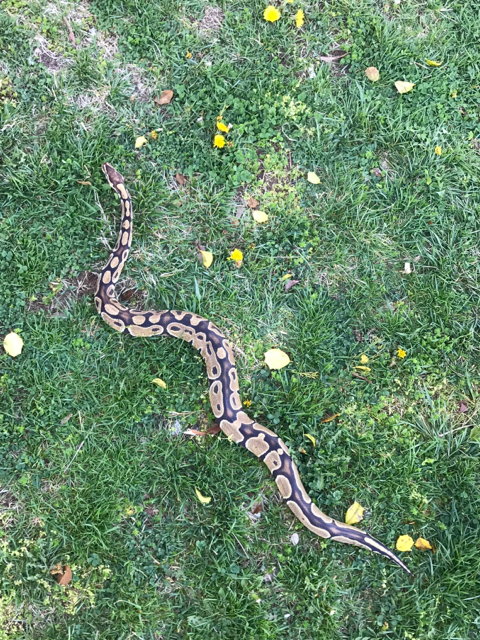 She would hiss when I went to take her out, no bites ever, but loud hissing. I imagine because she couldn’t see well she was being defensive but that’s totally gone now! I’m so happy! & the tail tip, she's nearly good as new. 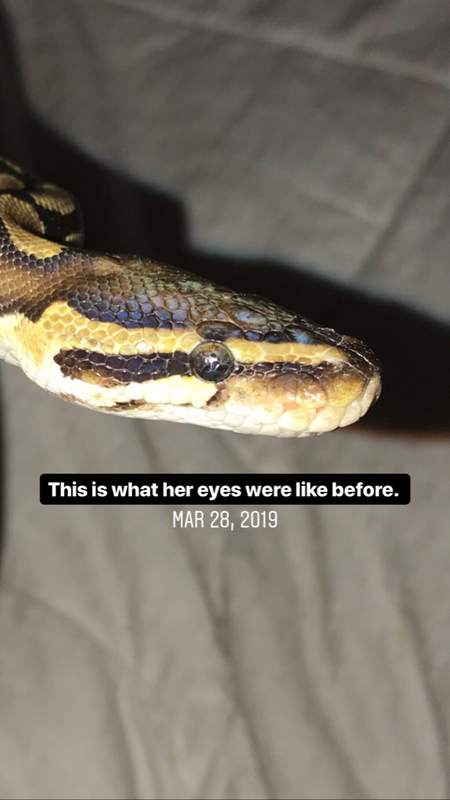 Makes sense that she was defensive when her vision was impaired, much the same as when snakes are in shed. 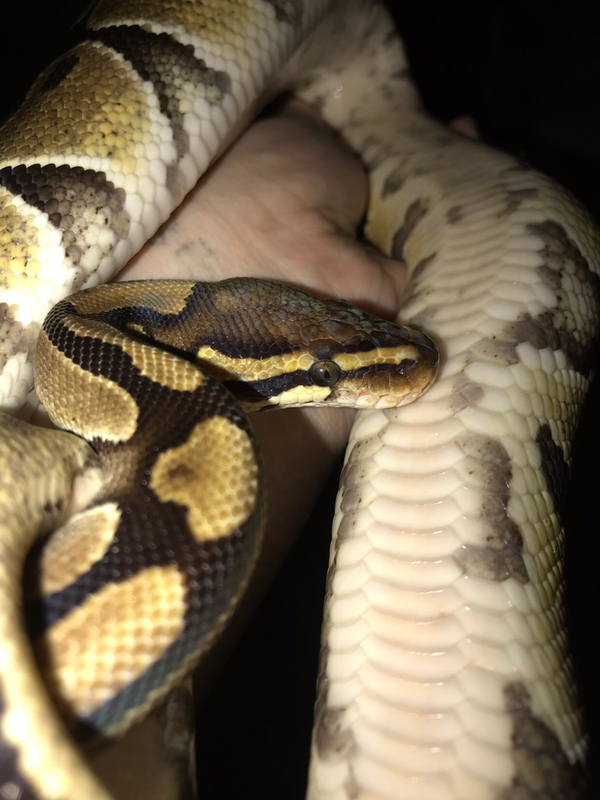 She’s like a new snake, I can’t get over the change in her personality! She spends hours now sitting on top of her hide watching where she used to always hide. I imagine she felt vulnerable with her vision affected. 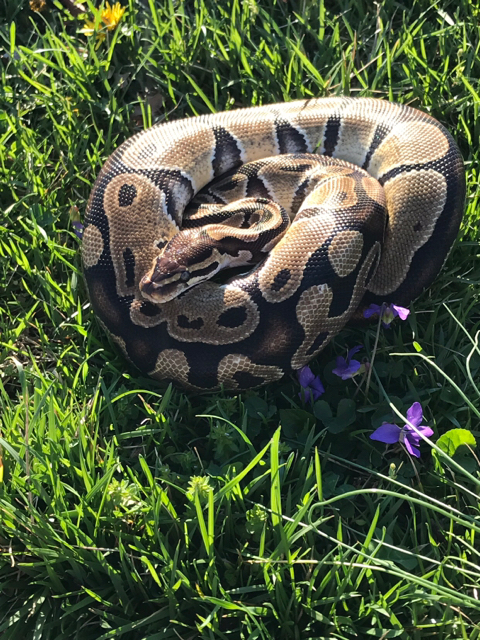 I took her outside the other day for the first time in her entire life. She was very nervous at first but once she warmed up to it she was exploring like crazy! She looks pretty happy, for sure.